John Casillas is founder of the Medical Banking Project (a.k.a. “MBProject” - http://www.mbproject.org), an independent policy research and strategic advisory firm that facilitates the latent integration of banking technology, infrastructure and credit resources with healthcare administrative operations. He coined the term “medical banking™” in 1995 to denote this emerging niche’ industry and organizes educational and workgroup forums (i.e., National Medical Banking Institute series, Medical Banking Leadership Forums, etc.) to advance this highly promising industry. 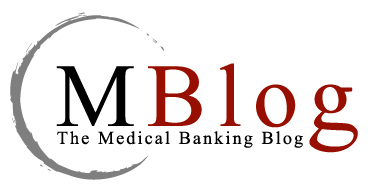 MBProject is spearheading two related initiatives: a testing/reference platform (“COMBAT – Cooperative Open-source Medical Banking Architecture & Technology™”), that supports on demand administrative and clinical messaging (to combat rising healthcare costs using medical banking principles and technology) and a fee-based, bank-driven community system ("Charitable Communities Network™") that coordinates safety net healthcare access for the uninsured, uninsurable and under-insured. The initiatives demonstrate how banks can leverage HIPAA's privacy, security and electronic mandates to deliver substantive cost benefits to care givers, employers, consumers and others. In early 2001 he created a series of industry recognized forums – HIPAA Policy Roundtables with the HIPAA Gang™ that shaped the national debate regarding HIPAA’s impact on banks over a period of 2 years, and a national lecture series targeting 10 key healthcare stakeholders dubbed “The Great American Interoperability Tour™” that changed the national dialogue in medical banking from compliance to interoperability over a period of 14 months. He was awarded Healthcare 100 Award in 2005 and 2006 by the Nashville healthcare community, has provided testimony to the National Committee on Vital and Health Statistics, federal and state agencies (HHS, CMS, OCC, Treasury), was appointed medical banking SME for the Healthcare Financial Management Association, served as an EHNAC Commissioner and regularly meets with state authorities. He is regularly interviewed (CNBC, USA Today, Forbes, CNET Release 1.0, Craines, HHN) and has authored white papers and articles that are widely published (Banking Law Journal, HFMA, Journal of Healthcare Administrative Management, IAPO, LexisNexis, HealthLeaders, etc). He previously founded a health data management firm serving academic health centers (RCM: 1990-1994) and directed product strategy at WebMD (1996-1997).